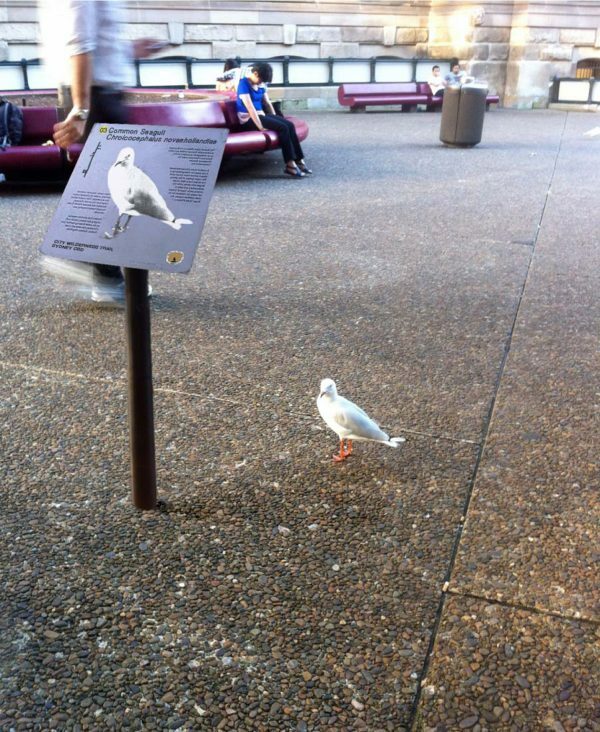 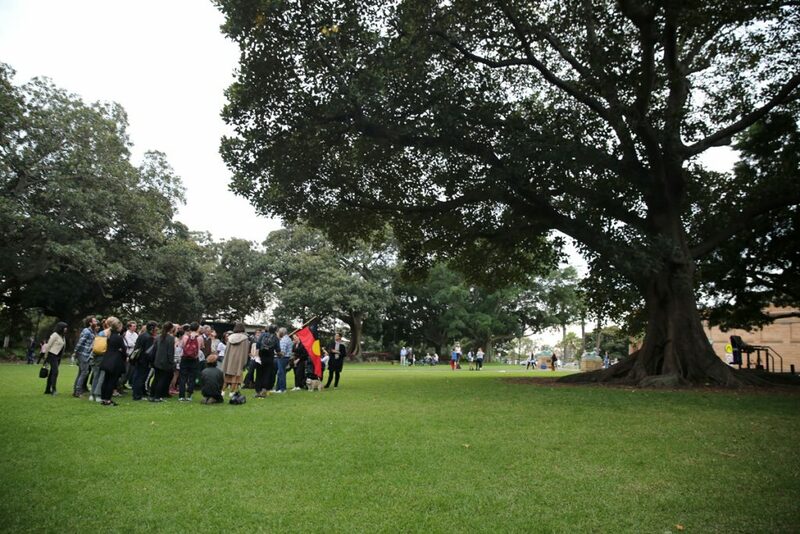 A scored walk from Speakers' Corner in The Domain to Wemyss Lane, Surry Hills for the 20th Biennale of Sydney. 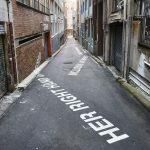 Photograph by Rafaela Pandolfini. 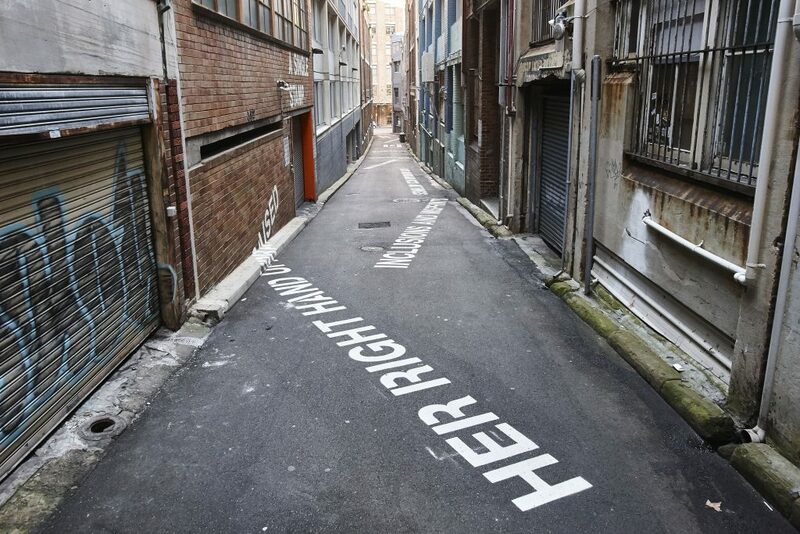 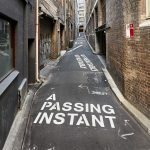 As [the artwork] is absorbed back into the laneway it will become grimy and weathered, and will soon be less visible. 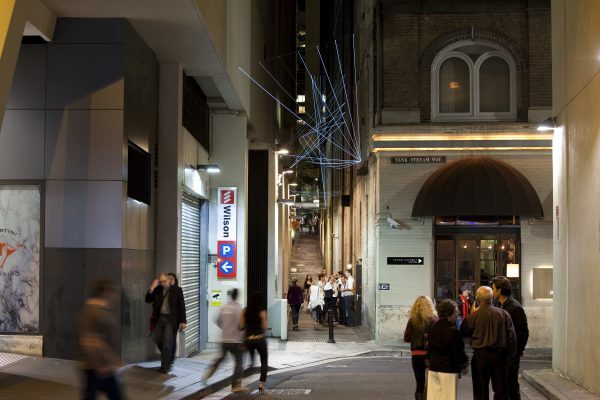 In a way, drawn back into the fabric of the city that produced it. 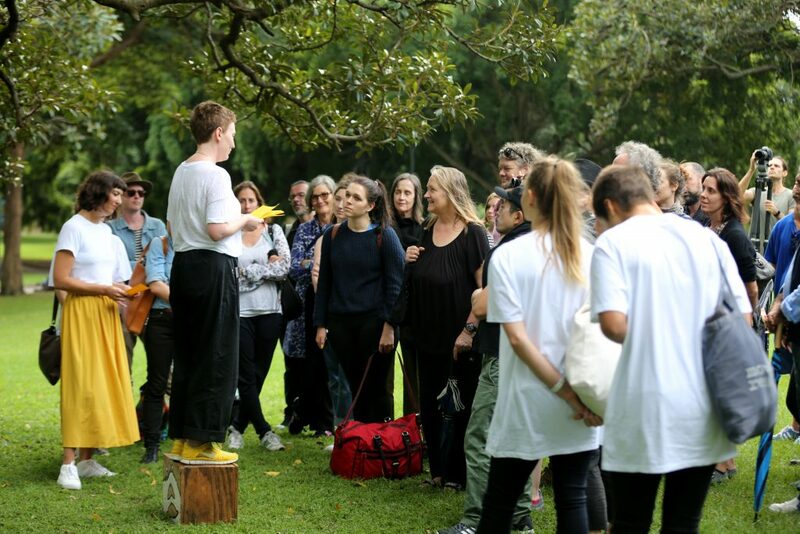 Here, an Echo was developed by Agatha Gothe-Snape during the 20th Biennale of Sydney: The future is already here – it’s just not evenly distributed, curated by Stephanie Rosenthal. 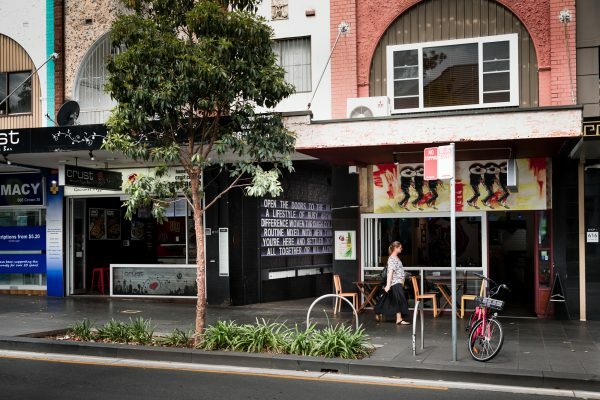 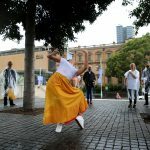 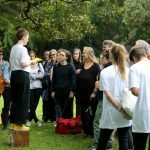 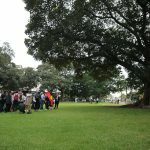 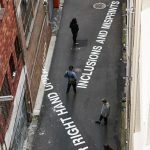 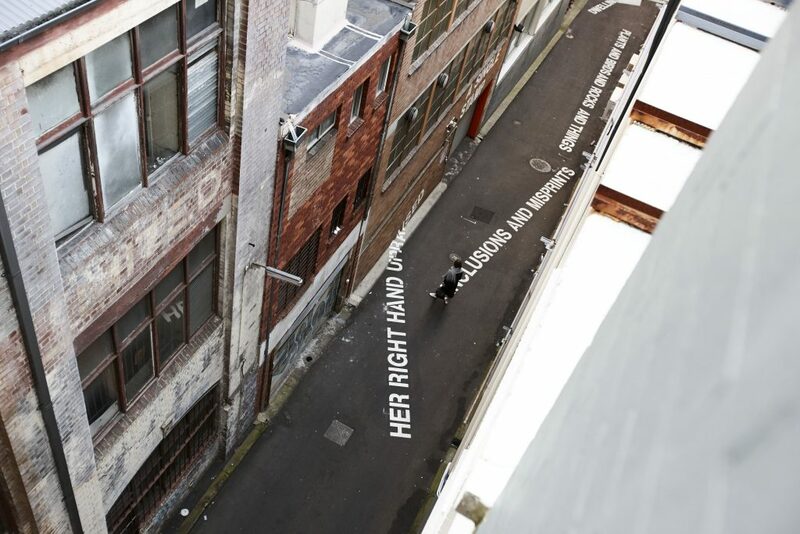 Created in collaboration with choreographer Brooke Stamp, this long-form project involved research, conversations, performances, and walks, focusing on an area extending from Speakers’ Corner in The Domain to Wemyss Lane, Surry Hills. 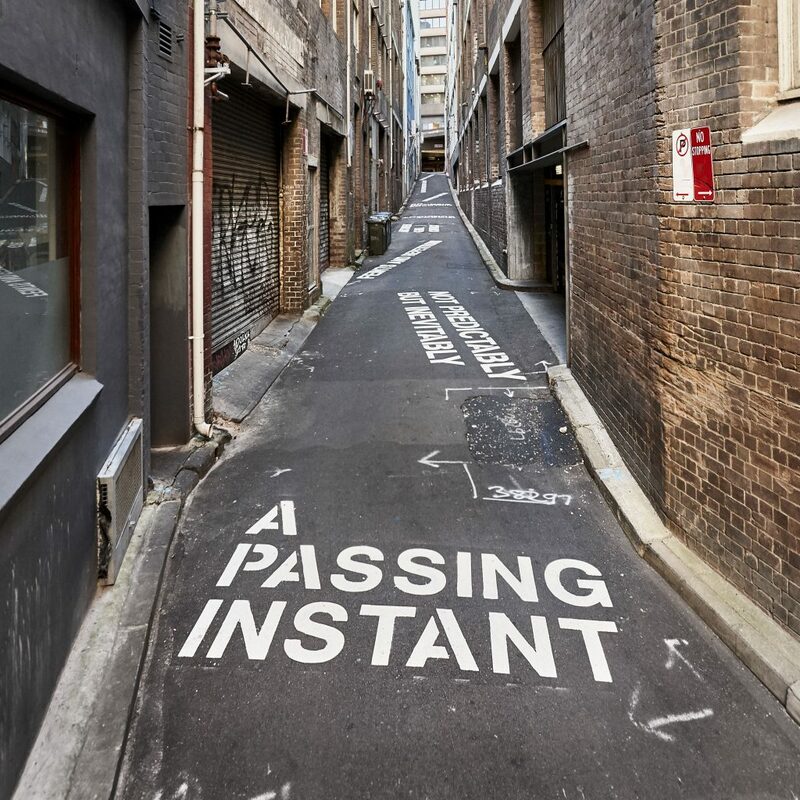 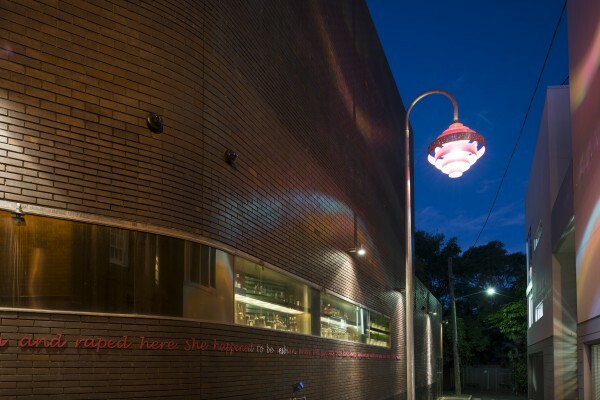 In this second iteration of the work the results of this period are manifested in a series of 14 words and phrases that appear for perpetuity in Wemyss Lane, Surry Hills. 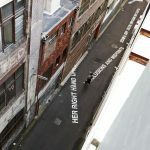 Open to interpretation, yet with specific origins, the texts become a kind of score where the act of reading and walking becomes intertwined – a choreography for the city. 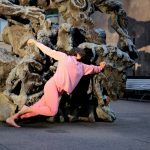 In her wide-ranging conceptual practice, Agatha Gothe-Snape often turns to improvisational performance. 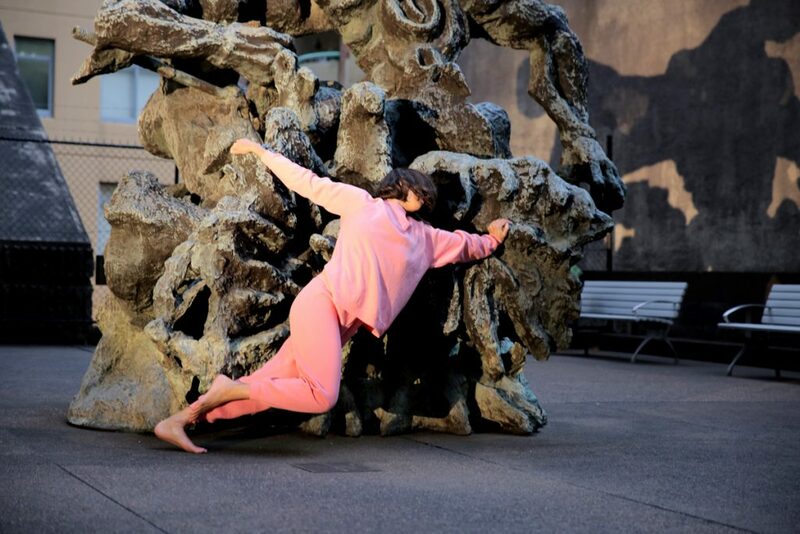 Working with ephemeral materials and subtle alterations to space, she uses language and choreography as her chosen mediums – to question our relationships to one another, to art, and to the contexts and histories in which all these are situated. 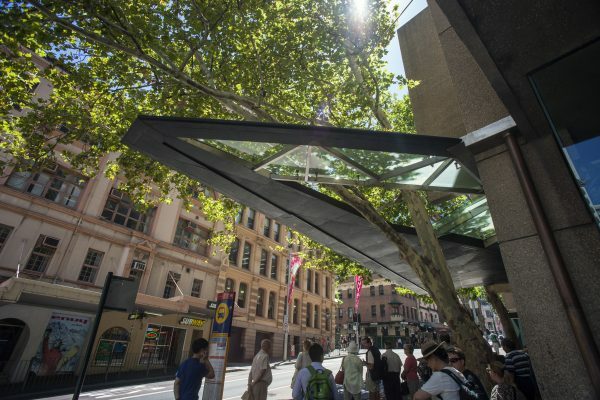 The first, City of Forking Paths, by Janet Cardiff and George Bures-Miller, was commissioned by the 19th Biennale of Sydney: You Imagine What You Desire (2014), curated by Julianna Engberg. 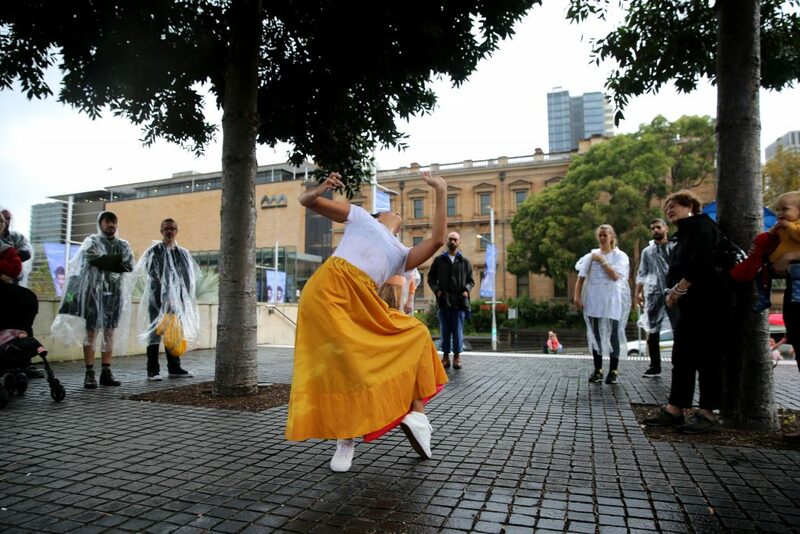 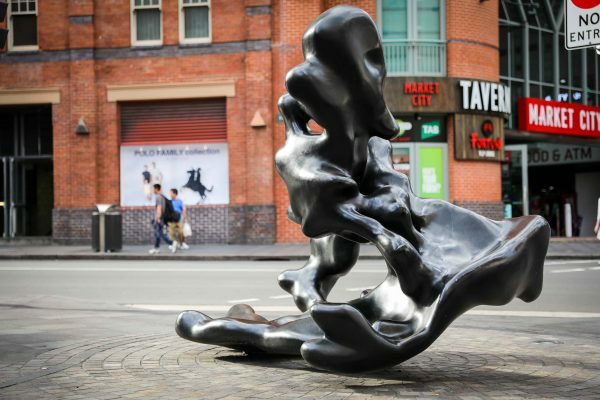 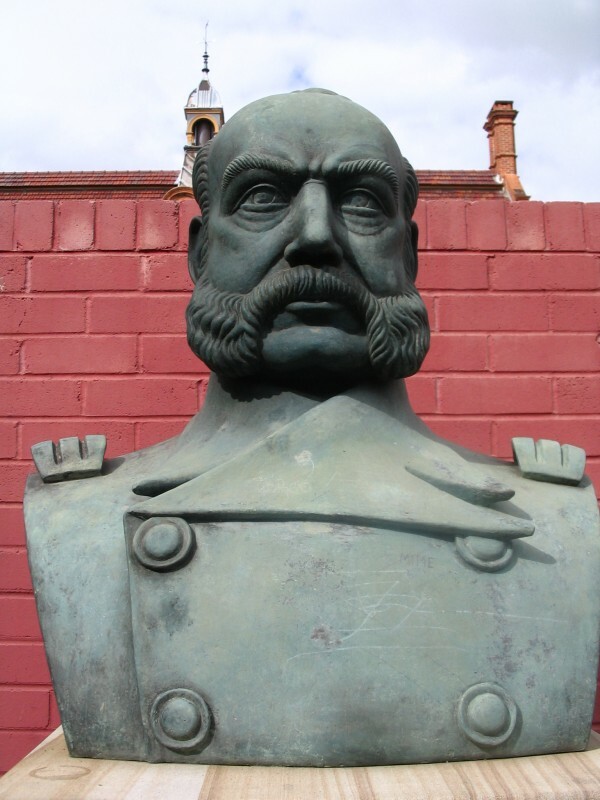 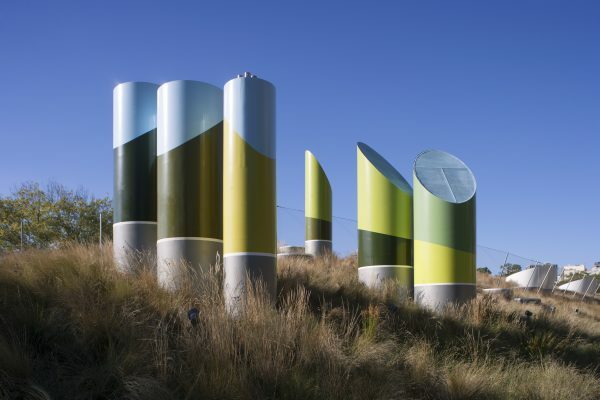 Here, an Echo is the second City of Sydney legacy artwork that will remain in Sydney as a permanent legacy. 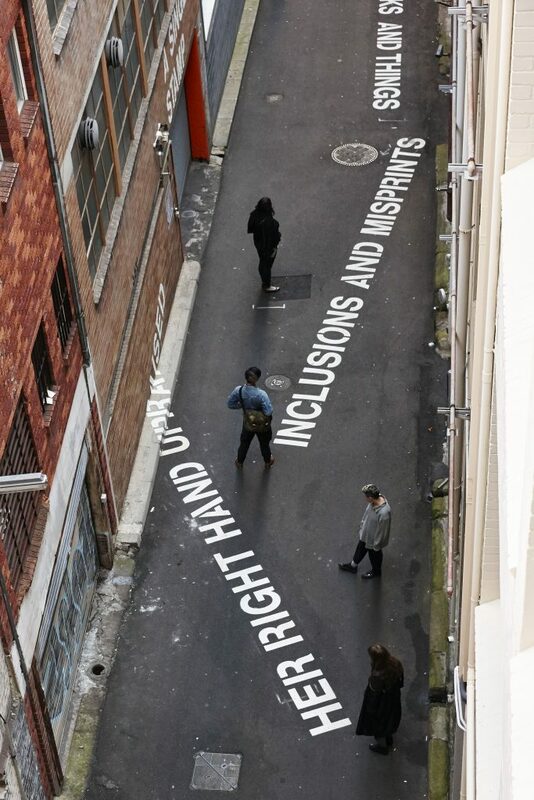 It was commissioned for the 20th Biennale of Sydney: The future is already here – it’s just not evenly distributed (2016), curated by Stephanie Rosenthal.